October residential sales along Scenic Highway 30A dipped slightly with 76 properties closed and 55 new contracts. 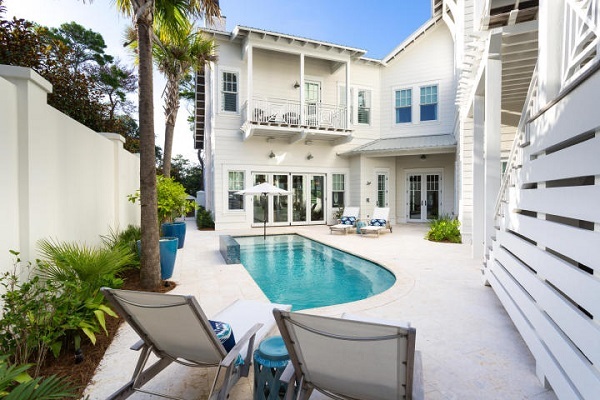 For single family home sales, several top 30A communities including Alys Beach, WaterColor and Rosemary Beach showed similar levels of activity in number of closings. The highest priced home to close was a custom-built Gulf front home in the Seacrest neighborhood Bluffs at Sandy Shores for $9.75 million. Costa Blanca was the top selling condo community for the second month in a row and had the highest priced sale at $5.5 million. Berkshire Hathaway HomeServices Beach Properties of Florida closed nearly $28 million in residential and land sales volume in the 30A Beaches market. Interested in more numbers? CLICK HERE for a complete Q3 Report for Walton and Okaloosa counties. *Market data for 10/1/18 to 10/31/18 as of 11/6/18. Information reported is deemed reliable but is not guaranteed. © 2018 MLS and FBS.